Currently on beta version 6.44.0.4. Noticed this change in my Deezer homepage. 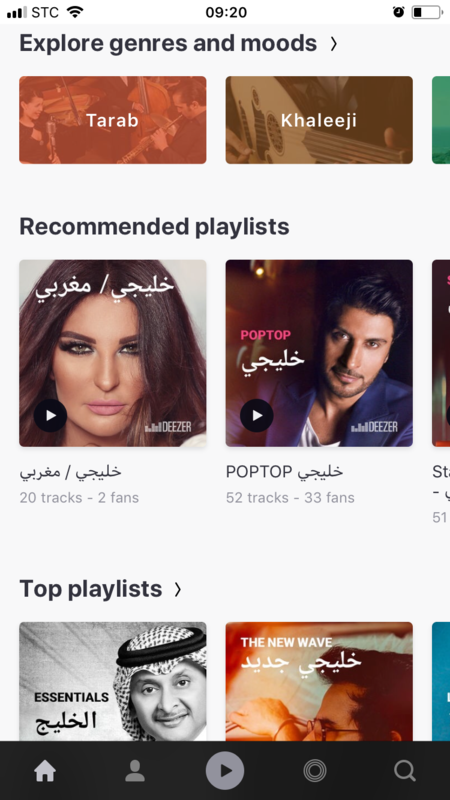 I know I’m subscribed from the Middle East but can’t understand why suddenly I’m getting arabic playlist recommendations/genre or new releases recommendations. I don’t listen to arabic songs coz I don’t speak and understand arabic. I want my old homepage back please! Thanks.